Motorola has announced the Moto G6, and G6 Play smartphones in India at an event in New Delhi today. The main highlights of the smartphones are an 18:9 display and long battery life. The Moto G6 Plus smartphone, which was earlier launched worldwide is not launched in India yet. However, here is all the information about specifications and price details of the two concerned smartphones. The all new Moto G6 comes with a 5.7-inch Max Vision IPS display with a resolution of 2160×1080 pixels and 18:9 aspect ratio. The smartphone comes with the Android Oreo operating system. Under the hood, it is powered by a 1.8GHz Qualcomm Snapdragon 450 octa-core processor coupled with Adreno 506 GPU. The Moto G6 comes in two different storage options with 3GB or 4GB of RAM and 32GB or 64GB of internal storage respectively. The handset packs dual 12-megapixel+5-megapixel rear camera and a 16-megapixel front camera. The device runs by a 3000 mAh battery which supports Turbocharging. The phone is also splash proof due to the water-resistant coating. The dimensions of the smartphone are 154.5×72.4×8.3 mm, and it weighs 167 grams. The fingerprint sensor is placed below the display, and it also supports gestures. Additionally, the phone supports Face Unlock, Moto Voice, etc. and features like Portrait mode, Face filters and group selfie mode in the camera department. The next smartphone Moto G6 Play sports a 5.7-inch HD+ Max Vision display with a resolution of 1440×720 pixels and 18:9 aspect ratio. The phone runs Android Oreo operating system. The device is powered by a 1.4GHz Qualcomm Snapdragon 430 octa-core processor and Adreno 505 GPU. The smartphone comes in one storage variant which is 3GB RAM and 32GB internal memory which is expandable up to 128GB via MicroSD. In the camera department, the handset has a 13-megapixel primary rear camera coupled with LED flashlight. At the front, there is an 8-megapixel selfie camera. The phone comes with a long-lasting 4000 mAh battery which supports Turbocharging. The dimensions of the smartphone are 154.4×72.2×8.95 mm and weigh 173 grams. Moto G6 Play is also water repellent and splash proof just like its partner. The supported sensors of the smartphone are the accelerometer, proximity, gyroscope, magnetometer, ambient light and a fingerprint scanner which placed at the rear. Talking about additional features, Moto G6 Play also features Moto Voice, Moto Actions, Face Filters and Beautification in the front camera. Talking about the price details of the two smartphones, the Moto G6 comes with a price tag of Rs. 13,999 for the 3GB RAM variant and Rs. 15,999 for the 4GB RAM variant. It will be available at Amazon India and Moto Hub stores. 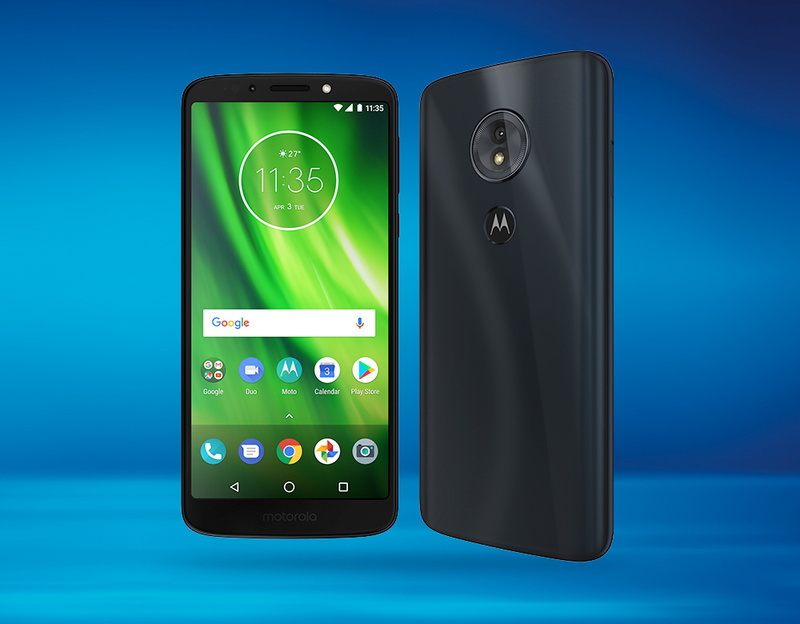 The Moto G6 Play costs Rs. 11,999 and will be available on Flipkart and Moto Hub stores. You shared genuine information of this smartphone.